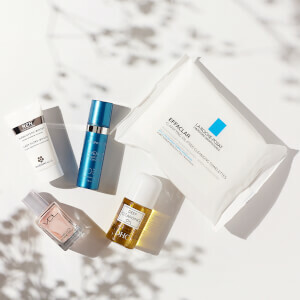 Treat your skin to the MONUspa Daily Ritual Gift Box, a six-piece collection of the brand's favourite skincare products that promise to cleanse, moisturize and nourish your body and hands. Indulge in the rejuvenating fragrances and expect super soft, smooth skin. A luxurious liquid developed to remove excess oil, dirt and impurities. Suitable for all skin types, the body wash can be used in the bath or shower to leave skin feeling soft and supple. Enriched with nourishing Natural Honey and essential oils to moisturize and hydrate skin, whilst naturally-derived foaming agents and Soapwort Extract allow a lavish lather to form. Subtly fragrances skin with a rejuvenating scent of zesty Lemon, Grapefruit and Bergamot for a long-lasting, refreshed feeling. Hydrate and replenish skin with the rich, nourishing body cream. A zesty blend of Orange, Lemon, Geranium and Rose essential oils refresh and soothe skin, whilst Marine Collagen works to smoothen and firm for a toned, tightened appearance. Moisturizing Cocoa Butter, Chamomile and Liquorice restore touchably soft, supple skin and prevent dryness for long-lasting comfort. Suitable for all skin types. Restore hydration with the soothing cream for tired, hard-working hands. Uplifting Lavender and Lemon essential oils leave hands feeling fresh and comfortable. Moisturizing Aloe Vera and Coconut Oils condition hands, nails and cuticles to give a soft, velvety texture. Provides sunscreens to protect against harmful UVA and UVB rays. A comforting treatment oil for the ultimate spa experience. Formulated with a blend of Apricot Kernel and Grape Seed Oils, its formula can be added to the bath or shower to nourish and hydrate tired skin. A scent of relaxing Sandalwood and Rosewood rejuvenates the body and senses, leaving you feeling calm and relaxed with touchably soft, smooth skin. Revitalize and refresh dull, tired skin with the luxurious body buffer. Ideal for use prior to the application of tanning products or to enhance skin before and after your holiday, the exfoliator nourishes and hydrates to reveal brighter, supple and healthy-looking skin. Formulated using Crushed Walnut Pieces and Papaya Fruit Enzymes to slough away dead skin cells and remove excess oil, dirt and impurities. Glycerin works as an effective emollient to soften and soothe skin, whilst Moisturizing Shea Butter delivers long-lasting comfort. Indulge in relaxation with the brand's scented candle. Infused with a blend of Rose and Patchouli to calm and comfort the mind, body and soul. Can be used as a massage medium.